I programmed the IBM 1401 back in the mid 1960s before moving on to the IBM 360, then later the IBM 370.
and about half way down there is a section entitled "Ron Mak's Graphical User's Development Environment "ROPE". Autocoder came after SPS (see next simulalor) and the author's history of the ROPE simulator is fascinating. time and you don't have to fiddle with them. 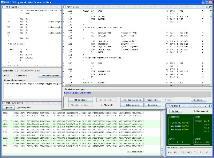 The BAT file brings up an IDE with an editor and in it you may code an Autocoder program. And you may assemble it, which brings up the assembler window. platform but ONLY use the 32 bit version. 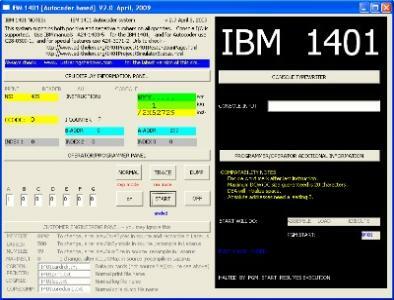 integrated into a GUI IDE, was written in FORTRAN. simulators are small, free, and work first time. ~ as well as the executable ~ turnkey! is HDIAL. You just do POWER ON and keep hitting START. All other switches and buttons are optional. Notes Simulator & programs for Windows this works on win32 XP, Vista win64, and also on Windows 7 and 8. 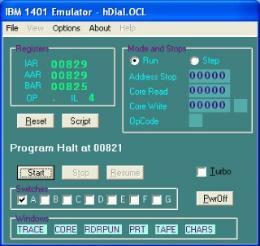 Please let me know by email if you like this simulator.